SIZE: 20" x 20" x 69"
DESCRIPTION: This piece was made for a group show at the Santa Cruz Museum of Art and History. The design has clear Art Deco influences, and takes full advantage of a spectacularly figured maple board. 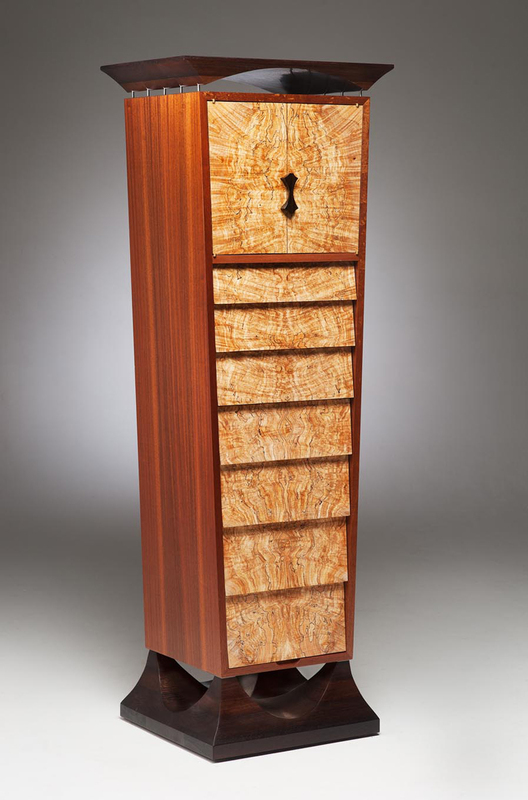 The drawers' heights progressively increase as their widths decrease from top to bottom.